Pelican at dusk - Careel Bay estuarine wetlands, 1.2.2014. Picture by A J Guesdon. Today, 2nd of February, is celebrated each year as World Wetlands Day. 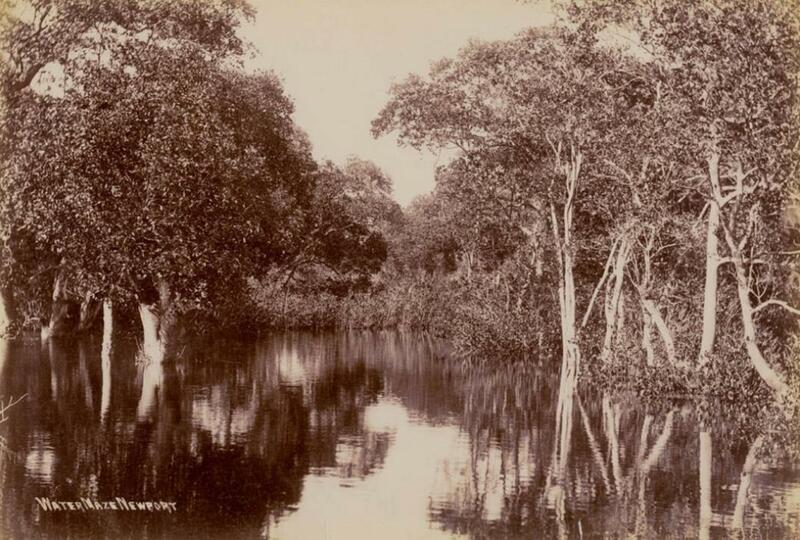 This year marks the 40th Anniversary of Cobourg Peninsula in the Northern Territory being listed as the world’s first Wetland of International Importance under the Ramsar Convention in May 1974. In Pittwater there are two major wetlands, the estuarine wetlands of Careel Bay, which were saved by residents from development in 1973, and the sand plain wetlands at Warriewood. Both of these are Environmentally Protected Areas, as is the ongoing regeneration of beautiful Winnererremy Bay. There are also a number of mangrove fringes in Pittwater from McCarr's Creek, to Bayview and Winji Jimmi and the tidal lands surrounding. Some of these were quite famous historically, an example being named 'The Maze' on the Pittwater Estuary which although stated as being near Newport and which 'excursionists' who visited over a hundred years ago would hire rowboats to explore, was part of Winnererremy Bay, or what we now call Winji Jimmi. 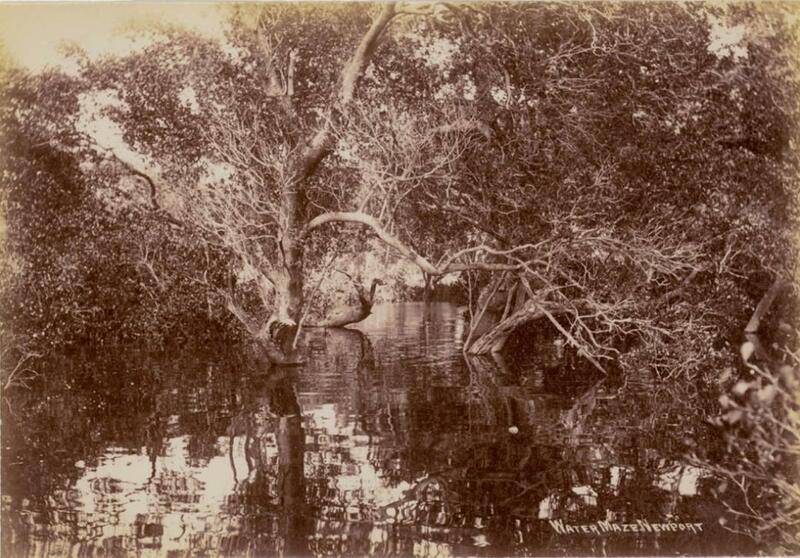 Many of these early reports of those eras described the Water Maze as a 'watery wonderland'. Once a wharf sturdy enough and deep enough to offload passengers at Newport had been built steamers brought people by the thousands to Pittwater. NEWPORT (PITTWATER). Newport Beach is the favorite surf beach of Pittwater district, and occupies a picturesque position between bold headlands. Newport lies snugly on the shores of Pittwater, and is served by coach from Manly (12 miles), fare 2/- each way. Good hotel and boarding-house accommodation is available. It would be difficult to find a spot offering such a number of charming views or such variety of entertainment. A short walk to the point where the road branches off to Barrenjoey will give visitors a most extensive view of Pittwater and the coast-line. From here one sees the road winding from Manly through the trees, and thinks of the time when it was used as a lookout station for the mails by the enterprising knights of the road, from which it obtained its name of "Bushrangers' Hill." Water maze, Newport (actually in the corner near Winji Jimmi), ca. 1900-1910, Images No. : a116496 and a116495, courtesy State Library of NSW. The Ramsar Convention (formally, the Convention on Wetlands of International Importance, especially as Waterfowl Habitat) is named after the city in Iran where the Convention was signed in February 2nd, 1971 and came into being on December 21st, 1975. The first World Wetlands Day was celebrated in 1997. The Ramsar Convention is an international treaty, to which there are currently 168 contracting parties, for the conservation and sustainable utilization of wetlands. In other words ' to stem the progressive encroachment on and loss of wetlands now and in the future'. Its aim is to promote and recognise the fundamental ecological functions of wetlands and their economic, cultural, scientific, and recreational value. As of 2nd of November 2013 the number of Ramsar sites is 2,168 covering an area of 206,632,105 hectares (510,599,050 acres). The Australian Federal Government's Department of Environment states that Australia currently has 65 Wetlands of International Importance listed under the Ramsar Convention, covering approximately 8.1 million hectares. The largest of these is in the Kakadu. “Discovering wetlands in Australia – a primary classroom resource” was published in 2011 for the 40th World Wetlands Day. Still available HERE online. Besides estuarine and sandflat wetlands, marine, riverine, lacustrine and paulstrine wetlands define and describe the location and kind of wetlands there are. The international theme for World Wetlands Day 2014 is Wetlands and Agriculture: Partners in Growth. For thousands of years wetlands have been used directly for agriculture, and for supplying food, fuel and fibre to support lives and livelihoods. Wetlands continue to play an essential role in supporting modern day agriculture. They provide water storage, flood buffering, nutrient removal, water purification and erosion control. Sustainable practices which support both agriculture and healthy wetlands are therefore coming to the fore. Royal Spoonbill - Warriewood Wetlands. Picture by Michael Mannington. Overview by A J Guesdon, in colour Pictures by Michael Mannington and A.J.G.